Merry Christmas Eve from my mom's house in New Brunswick! Progress is being made on this piece as part of Operation Declutter at my house. I had hoped to make lots of progress yesterday while I was on the Bay of Fundy ferry since I had over two hours to do nothing but enjoy being on the boat. Sadly, seasickness threatened even though the boat was barely rolling so I had to lay down during the crossing and no stitching was done. 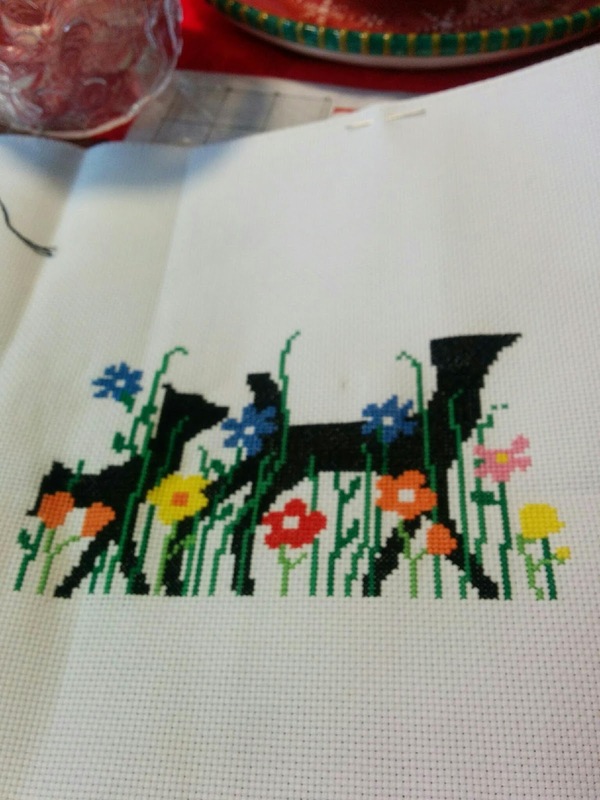 I did get a fair bit of stitching done last night while I relaxed with my mom and sister after a lovely visit with my best friend! I know that my readers are few, but I wish you a happy holidays and all the best in 2017.